FotoBella: National Mom & Pop Business Day!! I am so proud and happy to be a "Mom & Pop" business owner! 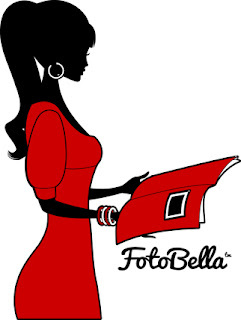 I introduced FotoBella to the public as an online store after visiting distant relatives in Italy. I had so many wonderful memories of my visit and many great stories of my family history that I wanted to preserve. I had a vision of both elegant books of our family history and whimsical scrapbooks of the fun times we had as a family. I spent a lot of time finding tools and supplies to create my vision. I have always adored pretty paper and embellishments. I fall in love with full collection lines of scrapbook brands, and always "Want It All". And from this, I decided to offer my customers the "FotoBella I Want It All" bundles membership. Each month, FotoBella I Want It ALL! members get all available paper in a collections, plus the coordinating embellishments from that line at a special discount. These memberships provide a monthly paper crafting / scrapbooking kit to design multiple projects, including scrapbook layouts, cards, tags, and more. And, each month the FotoBella design team posts project designs, including step by step instructions for the current month's I Want It All bundle . You don't have to be a member to enjoy our bundles, but members do get an exclusive discount. I want to give a big hug, and say thanks to all of our amazing customers and loyal fans. You are the reason that "Mom & Pop" business exist and thrive. To show my appreciation, I would like to offer you 10% off your order! Use coupon code: MOMPOP (expires: 04/30/2013, some restrictions apply see http://www.fotobella.com/coupon for details). Plus, make a comment on this blog post or our FaceBook page about what you love about FotoBella and you will be entered to win a FotoBella I Want It All Bundle worth over $70. Make sure to leave your comment by April 12th. Winner will be selected at random. I just want to say how happy I am to support, and know Mom&Pop business owners!! Real people with real passion. Cher you have done amazing with this company and I am so glad I met you!! I love the selection of products in your store. I also love all the inspiration from your designers. Oops! I am so sorry the coupon originally posted MOM&POP didn't work (our system didn't like the &). Please use coupon code MOMPOP. I apologize to anyone who found the error!